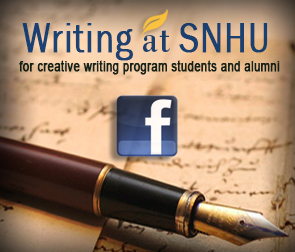 Machine is the second-place winner in SNHU’s 2016 Fall Fiction Short Story Competition. In a cave in the mountains, there is a machine. A machine with no buttons, switches, slots, or screens. Only a lever. It’s said that this machine can give you a new life; a life that should have never have been yours. One pull of the level is all it takes to wake up a completely different person. This lever is one-way. Down. You have been searching for the machine for years. You poured everything into this search: all your money, your time, even your relationships sacrificed for the possibility of being right. They all told you it didn’t exist. That you were mad. You’re beginning to think that they may be right. It’s only then, when you’ve lost all faith in yourself, that it appears to you, perched in the wall of a cave you must have checked a dozen times before. You study the machine in wonder, its modern sleekness offensive in the raw cavern. You run your hands over the glossy, impossibly impeccable surface encased within the dusty rock. You caress the lever, shining, centered in the machine’s face like Excalibur in its stone. After some hesitation, you pull it down. But no, you are not you. You are someone else, something else. And you are flying. You open your eyes to find yourself staring at the ground as it reaches out to touch you. Warm light blinds you, but when you blink nothing moves and the glow sears your eyeballs. You try to run and your body is bound, one long, hardened form splayed on yellow ground. —into cold darkness, thick and imposing. Your back no longer moves and you drift endlessly, horribly, bumping and grinding on mysterious figures in the deep. A beam greets you, beckoning you forward; you yearn to reach it and your body complies, legs zigzagging back and forth. You sit up and survey the room. Your body, your human body, is as it should be. But you have never been here before. Trophies on the shelves, piles of books on the floor, framed pictures of people you’ve never seen, some of them hugging an altered version of you. A bed bigger than any you’ve ever seen, the sheets a dull orange color you don’t care for. This is not your life. You never could have hoped to achieve this life. You remember the lever. You recall the feel of pulling it, down, forever down. You remember falling. Nothing else. Is this life yours now? You venture through the house (your house?) investigating with fresh awe. You come to a room, connected to the rest of the house by a narrow hall, containing the most beautiful piano, surely the most beautiful in existence. See sheet music strewn over the floor. Music you can read. You pick up a sheet, set it on the stand. Cautiously take a seat at the bench, your fingers alighting on the keys. You have never touched a piano, yet the position feels right to you, natural. Press down, the sound reverberating through your bones. You are a pianist. This is your life. You play a concert that night to a sold-out audience. People you don’t recognize act as if they’ve known you for ages, heard you play again and again. You have never been appreciated this way before. Never adored. Never so happy. That night, in your dreams, you find yourself at the machine. Grasping the lever, feeling the sleekness of the silver metal, yearning to be used. You don’t want to, but you pull. Down. And wake up. You’re a professor now. Loving spouse, perfect kids, a tenure position at a top university. Coworkers that fawn on you. Students that throw themselves at you. You begin to like this life. You feel respected, like a real human being. You’ve never felt truly useful before. That night, when you dream, you do not see the lever. In fact, it’s a week before the machine calls to you and you answer, running through your dreams, searching for the musky cavern. This time, when you pull, it’s not forced. You are excited for the new life that awaits you. It comes down with ease. Wake a top-paid athlete. You are in excellent shape, MVP of one of the best teams in the nation. You can get anything you want. Anyone you want. The media loves you, and soon you begin to love yourself. You’ve never felt so perfect. But the pressure. It gets to you. How long can one person stay perfect? This time, the machine doesn’t call to you. You look for it, and at first it doesn’t appear, taunting you. Then one night, you chance upon it in your dreams, slipping into the cavern you know so well. But it seems denser, more enclosed. The machine is there, but it has lost some of its luster. The lever seems less sleek to you, but it moves just the same. Downward. You wake immobile, confined to a bed. You are wearing a white uniform and your hands are bound. Large men in white coats enter the room and talk over you, with words that mean nothing to you and smiles that ring hollow. They leave and another man enters, this time in green, wielding a large needle. You struggle and you fight but it’s no use. He injects you and you tumble down into nothing. For months (or is it years?) you endure this, all the while seeking, pleading for the machine. You don’t think you can stand it anymore until one day, you have a visitor. She is small and pale and wonderful, with red lips and a sad smile that reaches her eyes. You ask her so many questions, like who she is and why you’re there and will she get you out. She doesn’t answer. Only stares. When you tell her how horrible it is, what they’re doing to you, she begins to cry. Then she is gone. You are taken back to your bed and your restraints and you cry, for yourself, for the beautiful woman that left you there. You cry yourself to sleep and, miraculously, you find the machine. The rocks cut your skin as you push into the cave and the machine is so dusty that you almost don’t see it there, perched in the rock face. The lever is rusted but you pull with all your strength, with everything you have left in you by that miserable excuse for a life. With a screech, the lever comes down. You are in a cave. You can see the stones around you, feel them, but you cannot move toward them. You look down at your body. The lever, poking out of your chest, is back to its former glory, the great big silverness of it. You recognize the cave now. You’ve been there many times before. Pulled that lever in countless different lives. You hear someone approaching. A woman, walking through the cave, dragging something behind her. She is wearing spelunking gear, as you were the first time, but she doesn’t look surprised to find the machine. To find you. She raises a sledgehammer as it occurs to you what she means to do. You scream inside your head, inside the rock, but she doesn’t hear you, screaming without a mouth. The sledgehammer comes down, one, two, three times, until there is no more machine. No more you. The woman continues to strike until the lever is nothing but shiny silver dust. When it’s done, she drops her weapon, smiling triumphantly, and walks away—back to her last life, the life she chose, the life she will now finish. Taylor Lea Hicks is a writer, editor, teacher and avid reader who hails from the south. She has her BA in Creative Writing from the University of Central Arkansas and her MFA from Stony Brook Southampton. Her work has been published in Gandy Dancer, The Portland Review, Circa Magazine and TSR - The Southampton Review. You can follow her on Twitter at @taylorleahicks.